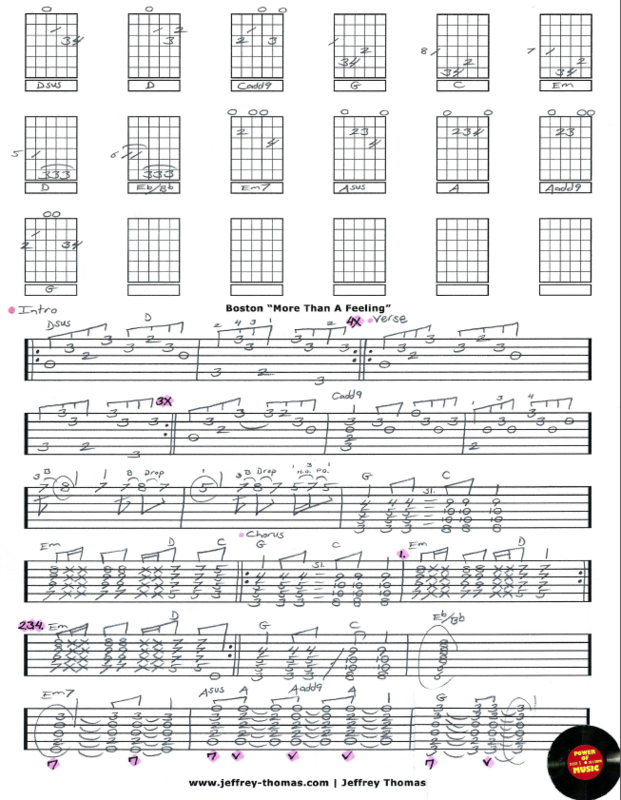 Boston More Than A Feeling Free Guitar Tab by Jeffrey Thomas. Hours of work have gone into this arrangement. Any guitarist who is familiar with Boston knows there are multiple guitar tracks electric, acoustic 6 and 12 strings on this track. I have come up with a single guitar arrangement that will stand on it’s own. All the signature licks, song structure, transitions from rhythm to lead are here. This song is totally the most popular request from my rock guitar students. Want the full guitar tab for free? Just send in your email address using the form provided. Need help playing the song? Fill out the Schedule A Free Lesson form to set up your free Skype guitar lesson today. “More Than A Feeling” was named the 39th best hard rock song of all time by VH1! Make sure to check out more online guitar lessons on my tab, video and blog pages.